At Henry’s Salon, we are proud to offer the best beauty and hair care services and, appropriately, only the best in beauty and hair products. Our hairstylists personally use these products every day and are happy to teach you how to do the same! 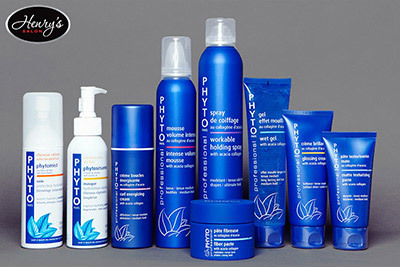 With top-of-the-line products from Phyto, Oribe, and Unite, it’s easy to get and maintain the fresh salon look at home! While these exclusive hair products are not available in regular retail stores and are more expensive up-front, they are frequently a better value because they work better and last longer than cheaper beauty brands. Don’t settle for anything less than the best! We price match both online and local competitors’ advertised prices, so that you can always be sure you’re getting the best deal when you walk out of our salon. There’s no reason to buy online and wait for a package when you can get it the same day at Henry’s! A comprehensive product line for hair and scalp treatment, PHYTO products are divided into color-coded categories to help you choose a complete program best suited to your lifestyle and your hair’s unique demands. Each PHYTO product is formulated with carefully selected plant extracts. These decoctions work in synergy to ensure maximum results and provide a precise response to the specific needs of each hair type. 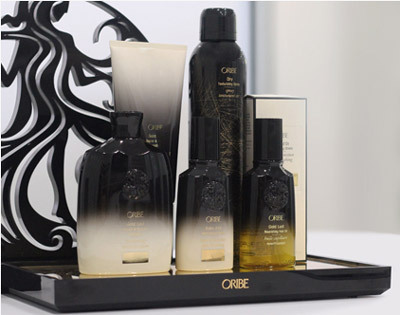 Oribe Hair Care was founded by renowned editorial and celebrity hairstylist Oribe along with beauty industry veterans Daniel Kaner and Tev Finger. Their goal was to create a new kind of hair company, one that was designed with the most talented salon professionals and the most discriminating customers in mind. Professional hairstylist Andrew Dale founded Unite 15 years ago to create a professional hair care brand that supported individual hairstylists and hair care professionals. 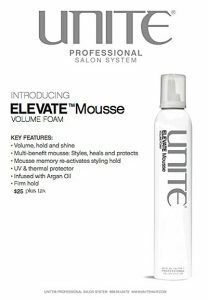 With high-quality, award-winning formulas to support a variety of hair types, and an innovative educative system to teach hairstylists how to better teach their clients to use professional-grade hair products, Unite has shaken up the beauty and hair care industry.